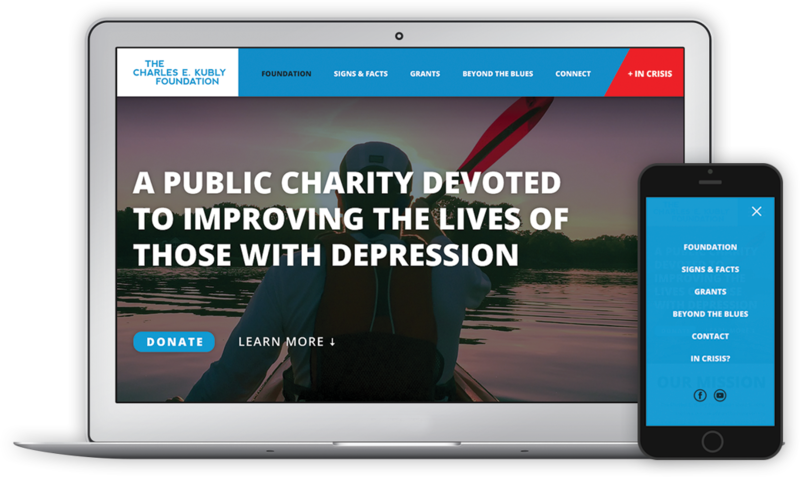 The Charles E. Kubly Foundation is a public charity devoted to improving the lives of those with depression. Working closely with their team, we created an interactive web experience that promotes the organization through strong imagery, video, engaging content and a unique layout. 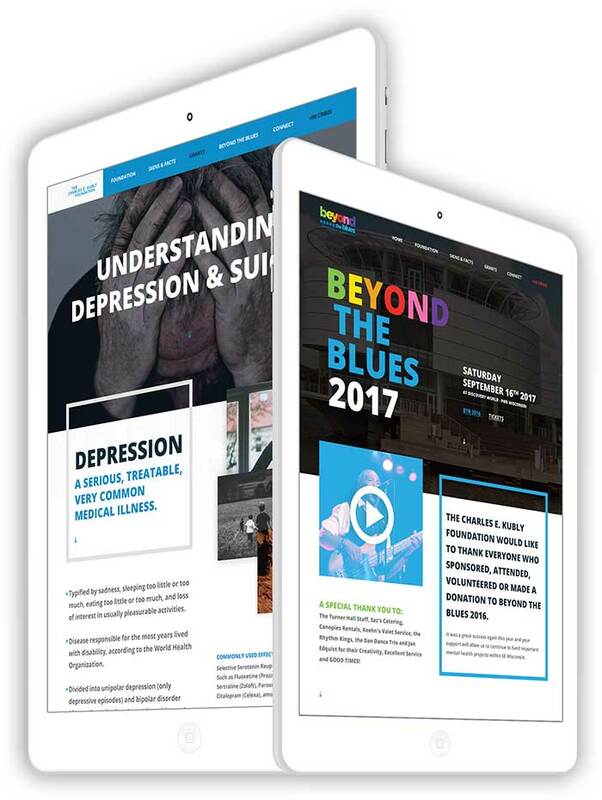 The site allows the user to donate, find event info and serves as a resource for those seeking more information on mental health and or various grants. 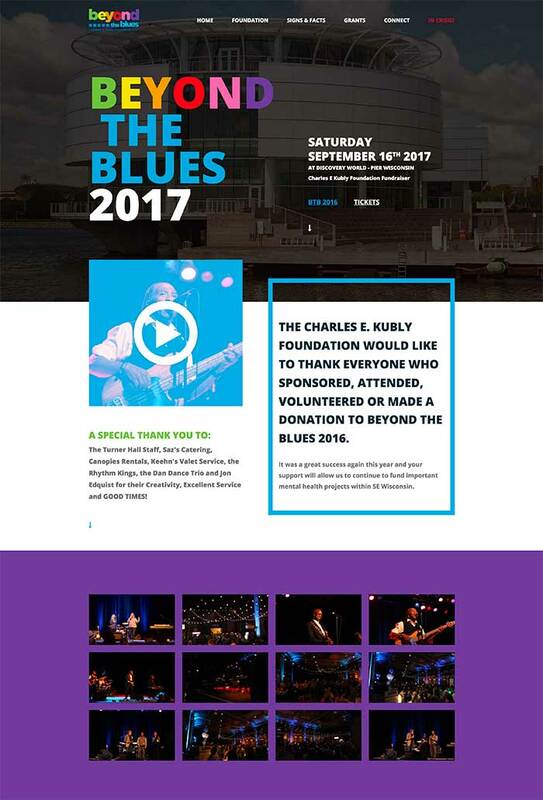 Instead of taking the user to another site, we were able to work the foundations largest fundraiser, Beyond the Blues, into the design of the site.